Bad goes to worse when she stirs up a crazy relationship with the town's not so warm and fuzzy veterinarian, Ian McFarland, in order to flag Mark's attention. So Ian is more comfortable with animals…. So he's formal, orderly and just a bit tense. The ever-friendly, fun-loving and spontaneous Callie decides it's time for Ian to get a personality makeover. But dang, if he doesn't shock the heck out of her, she might actually fall for Vermont's unlikeliest eligible bachelor…. You know sometime you read something non fiction and no matter how much you thought you wouldn't like it and end up falling in love with it? Did that ever happen to you?!? Well, after I read All I Ever Wanted I can honestly say that is EXACTLY how I feel right now. I just finished reading this like five minutes ago, and finishing the book gave me this floaty gooey sort of feeling and I was afraid if I waited to write the review this unexpected but very welcomed feelz of floatiness (is this even a word?) would disappear. So in short this was a great non fiction contemporary novel I have read. Makes me want to read more in this genre. Thank you Kristan Higgins for introducing me to all these wonderful characters. I have definitely loved reading about all of them. This was my first read from Kristina Higgins but certainly not the last. 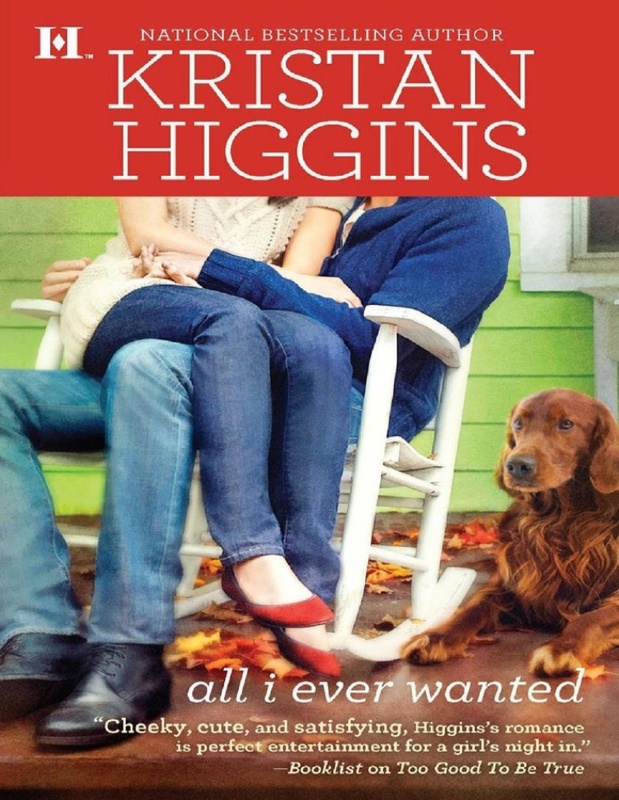 I don't think this book should be recommended to only the people who reads romance books, I would say All I Ever Wanted by Kristan Higgins is recommended to all the readers above 18. You can read an expert by following the link.